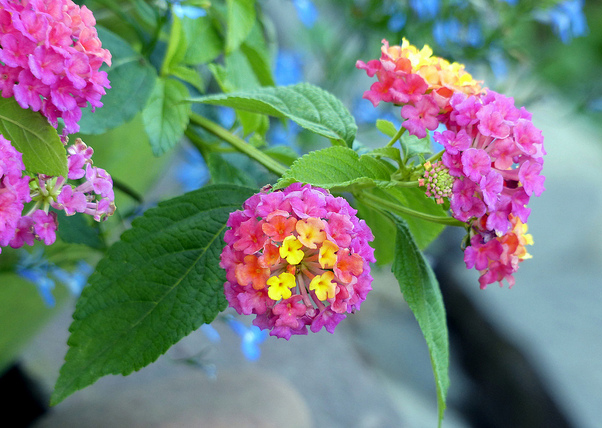 Here are some easy tips for how to grow Lantana plants. Over 100 varieties of these hardy flowering shrubs grow as perennial plants in temperate zones and as annual plants in cooler areas. They grow in a wide range of well-draining soils. Keep soil moderately moist. They do best in full morning sun. 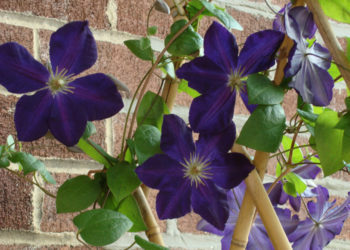 Vining varieties can be trained up a trellis or arbor. Lantana plants can grow up to 15 ft. tall and 8 ft. wide. Warmer = larger. Propagation: Stem cutting. Keep warm (70-80 degrees) and out of direct sun. If slightly dry, add water until damp. After 4 weeks, carefully remove each cutting to a 6 in. container of potting soil. Maintenance: Low. Deadhead as needed. Prune larger shrubs to control size and shape. In areas of killing frost, mulch Lantana plants with 3-4 in. pine mulch. Fertilizer: Use a 20-20-20 water-soluble feed once a month. If growing as a perennial, no fertilizer is needed after the first year. Excess fertilizer means fewer blooms. Wildlife Value: Attracts hummingbirds, butterflies. NOTE: Berries are toxic to humans and pets. Entire plant is poisonous to sheep and cattle. Preparing Your First Veggie Garden Why Is My Asparagus Not Growing Well?